When You Are Not Making The Progress That You Should, Who Can Motivate You To Get Moving Again? Everybody needs some level of motivation from time to time. Often, just the mere thought of accomplishing something that you have always wanted to do is enough. But, oftentimes it can be so difficult to get started that even a locomotive couldn’t pull you out of your favorite chair. 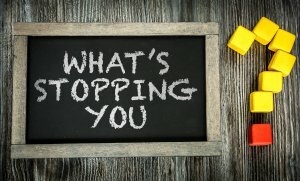 You see, there are many reasons that can motivate each of us and unfortunately, there are just as many – perhaps even more reasons that can stop us from taking action. In our conversations with clients and subscribers, generally the strongest motivation is simply the realization that more time is never promised to any of us. So, if you are hesitating about completing a particular goal, just considering that you might be running out of time can oftentimes do the trick. But, in many situations, the obstacle is simply the opinions of those around you. We are surrounded by people who have opinions and who are extremely eager to share them with you. So, since we all are inundated by opinions, a proper question might be just how are they all affecting you? Are the people around you deciding what you should do or not do? Does your personal opinion carry any weight with them or even with you? Do you sometimes find yourself waiting for the approval of others before taking action? Do you ever think about how strongly some people will respond to another person’s opinion even if in ridiculous situations where differing opinions should not be of any real importance? Consider situations where one group of sports fans will confront and/or physically attack another sports fan for wearing the opposing team’s jacket or cap. Opinions are very powerful to many! As an entrepreneur or business person, you have to maintain a certain level of control over how you make your business decisions. After all, you are the person who is responsible for the success of the business. And, if you take the wrong advice from someone, you will also be the person who will receive the blame for a failed business. Entertaining the opinions of others is a very wise habit to cultivate. Our thoughts are that you cannot place more value on the opinions of others than you do upon your own opinions. If by considering and evaluating outside opinions, your understanding of a situation is enhanced or if you come to realize an error in your judgement, then that is a positive sign of growth and maturation within your profession. Listening to the opinions of others can be useful. But, at the end of the day and after all has been said and done, the bottom line in all of this is that you must keep your business moving forward. For your business to grow properly, you have to focus on doing whatever it takes for growth to occur. That is our opinion. This has helped me realize that I need to become a better listener, so I will try to improve in that area. I also am starting to realize that I must not depend heavily on the opinion of other people, and that I should focus more on my own opinion. We are glad that the article was helpful to you. Good luck in your continued progress. I found this post to be very helpful. All the steps listed are set up good and go in order. I also realized how important listening is and how big of an effect it has on others. I have looked at other sites and all these steps that are listed are the same, but alot easier to follow. Wow! Excellent article that pinpoints where external conflict transforms into internal conflict. You hit a lot of great points. When you worry too much about the opinions of others, your opinion of yourself is greatly damaged. Your thoughts on this topic are extremely well stated, Jane. You have a wonderful writing style that is very impressive. You should seriously consider writing as you have a “gift” for the written word. However, we suspect that you have several other “gifts” as well. Thank you for your comments. Lovely article. It just really shows that sometimes you can ask someone for advice, even when you are not performing at your best. It also shows that you need to listen and consider closely the other person’s opinion. es, by carefully reviewing the opinions of others, you provide yourself with a “rich” source of knowledge that will extend your own insights. For me my mom and family who motivate me but of course you have to have the courage to do your best. Exactly true. Thank you for sharing your thoughts. Great article. It just comes to show that sometimes it is alright to ask someone for advice, but at the same time you have to be open-minded and consider what that person or person has to say. Just listening to others is probably the best thing you can do. Everyone can learn from others. Listening is a very important skill. This post was like a wake-up call to me. It reminds me of how I am always putting other peoples opinions and feelings before my own. Sometimes I have to sit back and think to myself even though it seems selfish. Sometimes its best that I think about my own opinions and feelings because, at the end of the day, that is what is really important. This article reminds me that I too often concern myself with what others are doing or thinking rather than focusing on what I need to be doing and thinking. That is a very clear way to express the point of the article. Thank you. Motivation seems to be my downfall so this was a great read for me. Thank you. Thank you, Kaicea. Your opinions always matter, so never sell them short. This is so real, all too many times we let the opinions of others hold us back and put far too little value on our own judgement, I’m glad you’re sharing that message, because more people really need to think about that. Yes, your statements are very true also. People are so ready to provide their personal opinions, especially if they are hurtful. That is unfortunate because technology since has made communication between people very easy. It is too bad that it is being used more for spreading negative dialogue than for providing positive assistance to each other. If I ever need advice or motivation, I can always call my dad and talk to him about anything. He is a smart person, and he helps to motivate me. It always helps to surround yourself with positive people. Anything positive can be motivating. That’s wonderful. You are fortunate to have him as a source of advice and motivation. In addition, he is also fortunate that you are willing to listen. Best of luck to both of you. Great! Motivation, in my person view is often found in individuals that give that “tough love” mentality. We have no doubt that a component of motivation can be realized via the use of “tough love”. After all, motivation, no matter how well founded it may be, is of no use if not applied and used. In many situations, the only way to make something happen is by the application of “tough love”. Thank you for your comments. Interesting post. I agree that there should be a balance between entertaining the opinions of others and making sure to take your own into account. Having proper balance is a worthwhile asset to possess in most situations. Thank you. I agree that so many people wait for others approval before making decisions and taking action. It is so important to have advisors that are trusted and experienced. Many people will take what they feel is the “easy way” to make a decision. There is a great amount of risk when your decisions are made for you by others. You will most likely release more than you will gain in the process. Extremely well said, Campbell. You get the point, for sure. Good for you! I gotta say, I find it hard to get past what others may think of me sometimes. It comes to me naturally and I’ve been sort of trying to train it out. This is solid advice! We understand your situation, Paul. Everybody naturally wants to be well thought of by others. That is a very natural desire. The key is not to have their opinions overrule your opinion of yourself. To allow that to happen means that you are releasing your life to others. That is too big of a price to pay, in our opinion. This article has given me some important insight. It has helped me to realize that I should be more careful to consider the opinions of those around me. I need to become a much better listener, first of all, so I will try to improve in that area. I also realize that I must be careful to not depend too heavily upon the opinion of others, but I certainly can become a better listener. Listening closely to what those around you are saying is a critical skill. Our article also emphasizes that you should always weigh the opinions of others carefully. Your ultimate decisions should be formed only after careful consideration of your personal opinions and those of others.